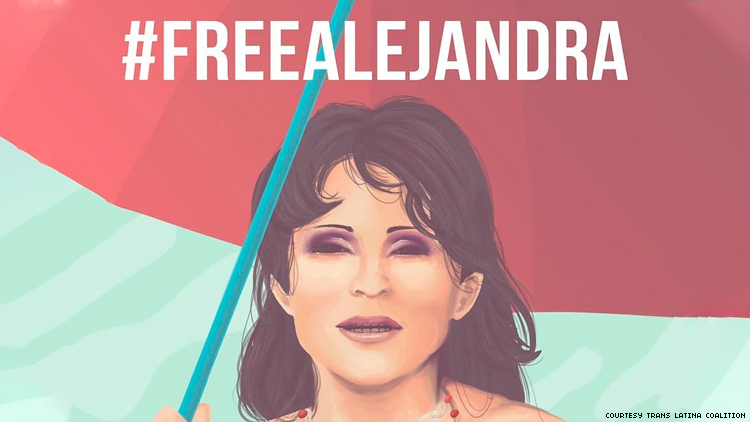 Activists are calling on immigration officers to grant parole to Alejandra Barrera, a trans woman who’s been detained at Cibola Detention Facility in New Mexico since requesting asylum in November 2017. After leaving El Salvador due to discrimination and violence, 44-year-old Barrera was detained by ICE and has repeatedly been denied asylum. As of this week, she’s been denied for the fourth time and activists are pleading for authorities to stop her deportation. According to a Change.org petition started by [email protected] Coalition, Barrera is the longest detained trans women at the facility. Furthermore, she has not been provided with access to adequate medical care and treatment. Barrera isn’t the only trans person seeking asylum in the U.S. In fact, recent reports state that 45 transgender people are being held at the South Texas Detention Complex in Texas, a privately owned facility. Overall, the number of trans folks in ICE custody is nearly double that of last year. According to the Washington Blade, ICE has 111 self-identified trans people in 20 facilities across the U.S. In September 2018, that number was 68. The mistreatment of trans people being held by ICE while in these facilities is well-documented. Last year, 33-year-old Roxsana Hernandez Rodriguez, a Honduran transgender woman, died in ICE custody. An autopsy found “deep hemorrhaging of the soft tissues and muscles over her ribs," as reported by The New York Times. ICE later stated that "allegations that she was abused in ICE custody are false." ICE spokesperson Dani Bennett told Broadly earlier this year that ICE has explored "less restrictive housing options for LGBTI individuals" for the last eight years, referencing a 2014 development in California she called the "first-of-its-kind dedicated unit for transgender women” as well as a 2015 memorandum outlining treatment of transgender detainees. Activists are now taking matters into their own hands by making sure that the mistreatment of trans people comes to an end at the border.